The Information Commissioner has warned the media to be 'open and honest' with the public when they are using drones. Several UK media organisations, including Sky, the BBC and the Daily Telegraph use drones to shoot video in locations that are impossible to reach on foot. The Telegraph used them effectively to cover the UK floods earlier this year. 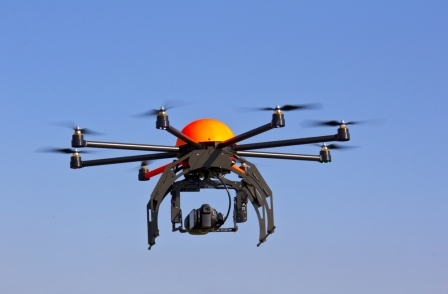 A spokesperson said: "The use of drones may arouse public concern. Our advice to journalists is to be open and honest wherever possible. People should know if you are collecting information about them, where it is practical and wouldn’t undermine the journalistic activity." The ICO spokesperson explained: "You do not need to notify individuals if this would undermine the journalistic activity, but this will be a trigger to consider the section 32 exemption." potential impact upon the individual and third parties. The ICO's Data protection and journalism’ guidance provides more detailed advice on the use of undercover or intrusive covert methods to get a story.